Two new outbreaks of bird flu have been confirmed in a small backyard flock near Settle in North Yorkshire and a world-renowned swannery in Dorset as the virus continues to spread. Chief veterinary officer Nigel Gibbens confirmed the disease had been found in a flock in Yorkshire, which included 17 chickens and ducks – several of which have now died. Government officials have said the flock was not housed, despite being just 18km away from a park where the virus had been discovered in a wild wigeon a few days earlier. A 3km protection zone and 10km surveillance zone have been put in place around the infected premises to limit the risk of the disease spreading. Mr Gibbens said: “We have taken swift action to limit the risk of the disease spreading. Restrictions are now in place around the affected premises and a full investigation is underway to determine the source of the infection. Defra officials have also advised against allowing different species of poultry to mix freely. At Abbotsbury Swannery in Dorset, nine swans have tested positive for bird flu and dozens more are suspected to have died from the disease. The swannery has recorded 80 deaths so far this winter – double the usual amount. An avian flu prevention zone was set up on 6 December, requiring all captive poultry to be kept indoors for 30 days. The order was extended on 4 January until 28 February, causing difficulties for free range farmers who could incur increased costs. 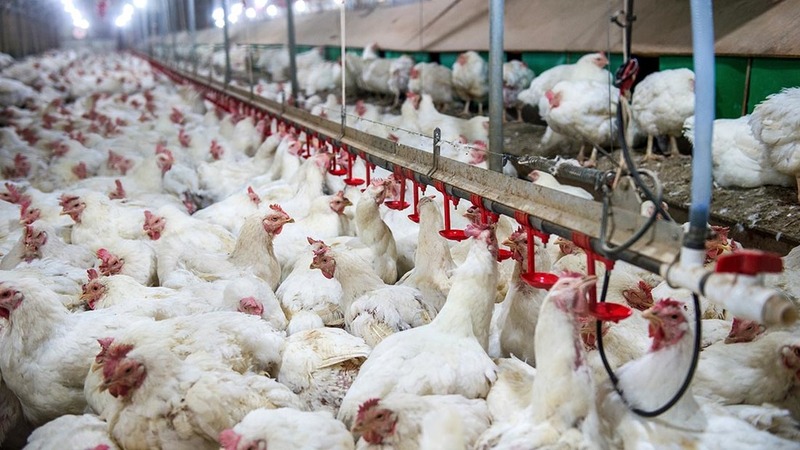 Farmers are able to retain their free-range status for a 12-week period of confinement. It is not clear what would happen if there is another extension to the restrictions, which end just days before produce would be prevented from being sold as free range. NFU chief poultry adviser Gary Ford said: “These measures have been introduced as a precaution to protect poultry and captive birds from being infected by wild birds. It is important to note that animal welfare legislation continues to apply. The latest outbreak came as the British Hen Welfare Trust was forced to allow the slaughter of 12,000 hens because of the disease. The Trust, which saves thousands of hens intended for slaughter, was due to collect the birds in December, January and February, but said it was ‘acting responsibly’ in response to the animal health threat by allowing them to be humanely destroyed. Advice on keeping backyard flocks safe can be found here.